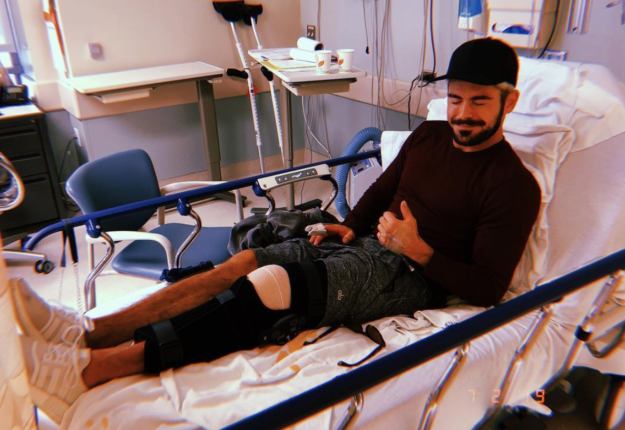 An injured Zac Efron on Instagram. There’s a weird symmetry to the fact that actor Zac Efron is now recovering from a knee injury sustained while skiing, because that was exactly the M.O. of infamous ski-town serial killer Ted Bundy, whom Efron plays in the upcoming Netflix film Extremely Wicked, Shockingly Evil, And Vile. Bundy would pretend to be injured and struggling on crutches to lure women to his Volkswagen Beetle, which he told former Vail Police detective Matt Lindvall was exactly how he got 26-year-old ski instructor and ski-shop worker Julie Cunningham into the trunk of his car in Vail in March of 1975. Lindvall knew Cunningham, lived in the same condo complex at one time, and is clearly still haunted by the case. Bundy confessed Cunningham’s murder to Lindvall the day of his execution in Florida in 1989. Bundy also told Lindvall he buried Cunningham somewhere near Rifle – 90 miles west of Vail on Interstate 70 – but her body has never been found. Zefron was chosen to play Bundy because of an obvious resemblance and because the actor exudes the charm Bundy used to murder at least three dozen women. The new film debuted at the Sundance Film Festival in Park City, Utah, late last month, but it’s unclear if that’s where Zefron tore his anterior cruciate ligament (ACL) while skiing. “I tore my ACL shredding the gnar⛷ 😕 but all is good. I opted for surgery so I can come back stronger than ever,” Zefron posted Friday on Instagram. Vail’s most famous skier – World Cup racer Lindsey Vonn, who’s retiring Sunday after battling multiple knee injuries – reached out to Efron on social media. “I know the feeling. Lmk if you need help rehabbing!” Vonn tweeted to Efron Friday. Efron’s Bundy film will be shown on Netflix later this year, and in the meantime a four-part Netflix series called Conversations with a Killer: The Ted Bundy Tapes features former 9News Denver reporter Ward Lucas. Interest in the Cunningham case remains high in the Vail Valley. In 2017, Bundy photos that turned up in a safe in Glenwood Springs sparked renewed global media attention. And in 2014, skeletal remains discovered during a construction project in Vail briefly fired up the Bundy speculation machine all over again, with Vail Police telling RealVail.com they were keeping Cunningham “in mind” as their only open and active missing-persons case while trying to figure out whose bones had been unearthed. Lindvall, reached by RealVail.com at his home in Durango, turned out to be right when he doubted whether that skeleton belonged to Cunningham. It turned out the skeletal remains were from the late 1800s or early 1900s and belonged to a Caucasian man who died and was buried on one of the early homesteads long before Vail became an international ski destination.